This evening the Association of National Advertisers (ANA) will release what is tipped to be an explosive report into the practices surrounding media rebates and value banks. Nic Christensen sets out what you need to know about it, and what the local implications are likely to be. Update June 8 – the K2 report has now been delivered and has found “pervasive” non-transparent practices, involving media rebates, credits and value banks across the US. Read the news story on the findings here. In Australia the controversy around media rebates, credits and free space – often referred to as value banks – is a hot topic that exploded in March 2015. In the midst of the misreporting scandal that engulfed Mediacom, parent GroupM was forced to admit that it had not only operated value banks but that it had charged four clients for advertising inventory that should have been passed on at no additional cost. That startling admission confirmed something that until then had only been whispered about. But in the same week Jon Mandel, a former CEO of Mediacom in the USA was on a conference stage in Florida alleging widespread “kickbacks” in the form of media rebates in the US. Mandel’s comments sparked the ANA report. Mandel’s revelations exploded in the US and led the ANA to call in not just forensic media auditing firm Firm Decisions but also K2 Intelligence, a firm which uses former FBI investigators, to get to the bottom of the matter. So what is this report and why does it matter? The first thing to note is that this is isn’t one report it’s going to be two reports: one by K2, revealing media agency practices on rebates, credits and value banks; and the other by Firm Decisions, which will highlight ways clients can increase transparency across these areas with their agencies. The report itself is not expected to name any individuals or agencies but Bob Liodice the CEO of the ANA, whose association represents some of the biggest brands in the world, has already warned that while the ANA report is US-focused the conversation it is set to spark is likely to be a global one. The reaction of the major holding groups shows quite how much could be at stake. Already lawyers for both WPP and Omnicom have sent the ANA legal letters demanding it back up any claims in the report with direct evidence, while Interpublic’s global CEO Michael Roth was critical of the body for what he warned is a risk of undermining marketer confidence by tarring media agencies with a “broad-brush”. 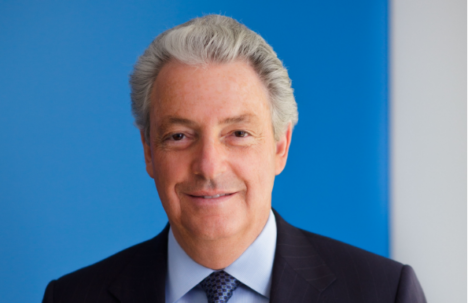 Michael Roth speaking at an ANA last month warned the report could tar the whole media agency space. According to the Wall Street Journal, a letter from Levy was sent to Liodice in which the holding group claimed it is “shocking” that the ANA would put out a report that doesn’t name specific companies and makes “broad unsubstantiated and unverifiable assertions of unethical behaviour against some or all advertising agencies.” He added that the claims have the “potential to cause great financial and reputational damage” to the global ad business. The stakes are clearly very high and as Business Insider noted recently if it finds any evidence of criminal activity, it is required to hand their findings over to law enforcement and there also the risk of a federal investigation if the US Congress takes an interest in the report’s finding. Even without that element the report is already shining a major spotlight on the ways media agencies make money and raising questions about whether there is sufficient transparency in the industry globally. As whistleblower Jon Mandel told Mumbrella last month this still has a long way to run: “I don’t think we are at that point (of change) yet. The reason is because we still have agencies denying that they do anything wrong. Is this the most hated man in advertising? So what exactly are these rebates? Before we go any further, let’s define a few terms, although as with all things in marketing there are many different names used for the same thing. One agency might refer to value banks as “agency volume bonifications”, and another might refer to “mutual value creation”, and then insist that this is not a “value bank”. Generally when we speak about major media agencies operating value banks it refers to using inventory given to them either for free, or at a heavily discounted rate, by media companies in return for putting a certain amount of business their way. Spend $20m with me this year and I’ll give you $2m in free media space. The challenge here is differentiating what is a rebate or commission – which contractually should be returned to a client – and value bank which many media agencies are thought to see as theirs to do with what they want with. In some cases this inventory might be used to win new business (the promises of deeply discounted media space is not uncommon) and in other cases, as with Mediacom, there is the fear that agencies are selling it back to their clients. In most circumstances, when marketers arc up about value banks they are expressing concern about exactly this – that media agencies are essentially creating a credit note between themselves and a media owner that can be redeemed in the form of inventory, and that is negotiated on an agency and or group level, using their money as the bargaining chip. Are they an issue in Australia? At its heart the issue comes down disclosure: if agencies are taking rebates, credits or inventory in any form are they telling their clients? In countries like Brazil and China rebates are common practice but in the US the major holding groups – WPP, Interpublic, Publicis, Omnicom and Dentsu Aegis – have consistently insisted that they do not use them. It now appears that that may not be true and the concern among clients is that there media rebates may be skewing the advice agencies give to clients about where to spend their money on – eg. they could be picking the media owners who give them the biggest kickback, not the one that will best serve the client. Rutherford: hidden commissions are rife. It’s arguably been a similar situation in Australia, where rumours around rebates have been rife since 2012, when independent media agency boss Simon Rutherford, CEO of Slingshot, first went public with allegations of “hidden commissions, value banks, short buying and the like”. It’s thought that many of these practices are relatively new and have ramped up within the last five years with The Australian alleging back in 2014 that metropolitan TV networks were contributing more than $40m in free or “value bank” airtime to just one advertising buying group. However, the issue was bubbling away until the misreporting scandal involving Mediacom erupted in November 2014. What began as a controversy about the falsification of TV campaign reports quickly evolved into something else, as rumours swirled that the audit had uncovered not just misreporting of TV reports but that Foxtel appeared to have been charged for free bonus or “value bank” advertising which should have been passed on for free. GroupM would eventually admit, for the first time, that it used value banks in Australia and that its subsidiary Mediacom charged four clients for using this advertising inventory rather than passing it on at no additional cost. Mediacom ended up refunding the clients for those spots. In the wake of the scandal media agency industry body, the Media Federation of Australia (MFA) insisted that there was no broader industry problem with value banks or transparency. However, some six months later, amid an ongoing industry debate around transparency, the MFA quietly released a new “transparency framework” endorsed by the local advertiser association AANA. It also says on the issue of rebates and commissions that these need to be returned to clients or “retained in lieu of service in accordance with the clients’ contract”. What is unusual about the MFA’s industry declaration on value banks is that it comes despite the local bosses of Dentsu Aegis, IPG Mediabrands, Omnicom and Publicis all consistently refusing to comment on whether they have similar practices in regards to media rebates, credits and value banks in Australia. Many Australian media companies are struggling, so surely they can’t love handing over big sums of money to the media agencies? Privately many media owners are scathing about these rebates, credits, value banks, and many of them feel coerced into making such deals. The problem is that they fear that if they speak out about this issue they will lose agency spend. And what’s interesting is that the practice doesn’t seem to be confined to traditional areas of media spend like TV, increasingly it appears to be happening in digital. One fascinating anecdote, which perhaps demonstrates this in part, occurred at the Programmatic Summit in February, when during a session on how ‘Programmatic is not a medium’ moderator Steve Hunt from TubeMogul was offering bottles of champagne to panellists who answered some of his trickier questions. Hunt then went for the one issue many media owners would feel very uncomfortable being asked about on a stage, whether they had ever heard of or been involved in a digital transaction where the media agency had demanded free inventory. Unsurprisingly none of the panel, which included senior representatives from MCN, SBS, Scentre Group and Brandspace, rushed for the champagne but more interesting was the reaction of the room – consisting of a couple of hundred major ad tech vendors and media owners – which burst into hysterical laughter. It wasn’t that Hunt has thrown out a wild and unheard of accusation which shocked the room, rather he had simply pointed to a giant pink elephant in the room, put simply he had “gone there”. Increasingly the concern is also that digital is becoming rife with these non-transparent practices, particularly when it comes to agency trading desks and programmatic, where allegations of arbitrage are also rife. Where is the marketer responsibility in all this? This is an equally important question. It’s clear that procurement departments and marketers have driven down rates, and media agencies on the whole have accepted these lower fees. This is what is often described as “the race to the bottom”. Who is responsible for this situation is certainly a point likely to be debated in the coming weeks, although the likes of Mandel is quick to credit the ultimate responsibility to media agencies. It is also clear that while marketers understand that they may be getting “extra value” from their media agencies or really cheap rates on media they aren’t quite clear on how where that value is coming or how it is that agency X is able to achieve that rate. Auditing business Firm Decisions, the ones working on this ANA report, also published an interesting survey recently which found among major brands two thirds did not have contracts in place to get their full entitlement of media rebates. Establishing what the client is entitled to is an ongoing challenge but it is interesting to see the UK advertising body ISBA has move on this issue ahead of the ANA report. In an interview with Mumbrella, Morrison was clear that unlike Australia, where the ANA and MFA have worked closely together on its “transparency framework” it felt it couldn’t work with the media agency association on these issues. Now to be clear ISBA has come under fire from agencies for jumping the gun, with some agencies in the UK arguing the contract is too complicated and difficult for many smaller clients. But it is also interesting to note that some reports have suggested that Firm Decisions may draw from the ISBA guidelines in its report aimed at helping US marketers. One thing is certain – transparency is about to dominate industry headlines for the coming weeks. It’s also worth noting that we have been here before. Back in 2012 the ANA published a report on rebates calling for more transparency. It was largely ignored. However, this time the issue feels as if it has more intensity and client interest, thanks to revelations around Mediacom’s issues here, and Mandel’s honesty. The issue now has the industry’s attention. Business Insider’s Lara O’Reiley has done a full analysis of scenarios that could play out which include: possible criminal sanctions if illegality is found; the risk that clients and investors punish the agencies; and the least worst scenario where the report highlights the deep mistrust between marketers and agencies but aids in the transparency conversation. In Australia, the report is likely to spark questions around whether we need a similar investigation of the rebate/credit/value banks situation here. At the very least it should lead marketers to take a long, hard look at their current contracts with their media agencies, and ask some difficult questions about them. And in return agencies may want to ask some questions about their remuneration, and how they can be expected to operate without making any money. GroupM’s revelations last year show there’s an issue locally. Now it’s time for the other holding companies and the groups representing marketers and the media agencies – the AANA and MFA – to start some serious and open conversations. It is time for transparency and genuine agnostic advice for marketers, given without a vested interest in the outcome. Everyone in advertising knows all of the alleged points to not just be utterly truthful, though to be barely scraping the sides. Shift to paying media buyers a consulting/servicing fee and maybe (just maybe) the agenda will change from which publisher, broadcaster or channel will best line their pockets, to one that is genuinely in the best interest of the clients’ business objectives. When marketers ‘ark up’ do they do it in pairs? It’s certainly interesting to see this and thanks for quite an informative article. It’s a bit confusing why this bloke Jon Mandel is being seen as any authority. I looked him up on LinkedIn and he doesn’t ever appear to have had a job outside the US and he left Mediacom 10 years ago. How would he know what’s common practice in Australia? Might as well ask my nan! “GroupM’s revelations last year show there’s an issue locally…” for quite some time Group M were the issue locally. Nic, you are getting warmer. can I suggest you include ye olde ‘slip discount’ circa 2005 alongside ‘value bank’ etc. as that might jog a few memories..I still wonder what happened to all of the value generated by a client’s spend when they leave the agency in question. I can’t see how ‘ 4 clients’ could have accounted for such a massive weight of no charge inventory. I suspect there could be some publicly traded media companies who are carrying significant inventory obligations as result of said ‘slip discount’ and to this point haven’t been declaring them..
what’s happening is the result of agencies having to find new and inventive ways to earn money. the clients (and client procurement departments in particular) started this whole mess by demanding more service less money. in a background of staff shortages, increasing wages, 30% churn, its a bit hard for an agency to make money having to pay more for staff each year and have their revenue cut by procurement who go away telling their CFOs what a great job they have done. what happens next is if agencies cant make money from the fee, then they look for other creative and for some, unethical ways to fix the gap. all of this can be stopped. the starting point is advertisers must pay fairly for the agency resources used. ironically, the auditors like Firm Decisions, Trinity, Ebiquity and others have contributed to this whole mess my helping clients screw down fees of agencies over the last few years. and these same auditors now have the cheek to ask clients to pay them again to help them manage their agency contracts. heathen. In a market, saturated with agencies of all types, it is hardly the client’s fault for demanding the best price for services. That’s called supply and demand. I think it’s a bit rich saying that advertisers, wanting to get the best value for their money, have forced agencies into acting unethically. Excellent and thoughtful piece. Thanks for writing it Nic. I hope this all inspires advertisers, agencies, media owners and the industry bodies in this country to proactively bottom out these issues and collectively clean up the business. My fear is that we are in for a rounds of denial, finger pointing and yet more reputational damage before anyone actually does something to change. We’ve seen this happen in other industries – alcohol, financial services and food industries for example. Regulate or be regulated. In experiential agencies, “rebates” are straight-up kickbacks for using a particular supplier or venue. They’re clad in a dodgy invoicing practices, such as “consultation services” which the agency charges the venue or staging supplier, (usually after the project) so it has complete separation from the job number and any client auditing. It is disgraceful and it has been going on for years, with some of the most established agencies in it up to their arms, and the biggest brands of all not having a clue. If you’re a client, ask why your agency always uses the same supplier; ask to see the competitive quotes, especially in the staging and AV aspect of your project. Better yet, have your agency head sign a Statutory Declaration that excludes these practices. You may not see your money again, but falsely swearing a Stat Dec can send them to jail. As a non-accredited agency, a fair question to ask is how do Slingshot buy? How do they guarantee the transparency of their approach? On further thought here I can say that this happens not just in offline media, that progrommatic is a big issue but so is broadcast and print production. ‘Slush funds’ is the expression there. How do you think agencies fund expensive pitches with expensive external suppliers. Print and Tv is a bit harder to catch after a production but media should be straight forward. Clues – the agency invoices exactly what was estimated up front and no adjustments.